When you drive to a job site, it may be deductible. If you use your car in your work, you may be able to deduct the costs on your taxes. The IRS allows employees to claim expenses if the expenses are incurred in order to help the business and if these expenses are standard practice in your line of work. If your employer pays you back, however, you can't claim the expenses. Even if your employer doesn't reimburse you a penny, driving from your house to the office or the job site doesn't qualify as a deduction. If you travel between two workplaces, however -- for example, between the head office and a client's office, or between two workplaces for two different jobs -- that's deductible. If you work out of a home office, driving from home to another location for the same job is a deduction. Parking fees aren't deductible when you park at your office, but you can claim them if you park at a customer's office. There are two ways to measure how much you're spending on your job-related driving. The simpler way is to take the IRS standard mileage rate -- adjusted every so often for inflation -- and multiply it by the business mileage. The harder approach is to figure out the actual costs per mile -- gas, tolls, maintenance, oil -- and multiply that by the number of miles your boss had you drive. With either method, compare the total cost to the reimbursement your employer gave you: If your expense is more than she paid you, you may be able to write off the rest. 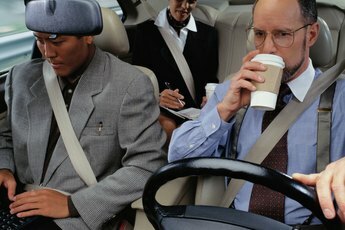 You can only write off the costs of using your car for your employer as an "unreimbursed employee expense." 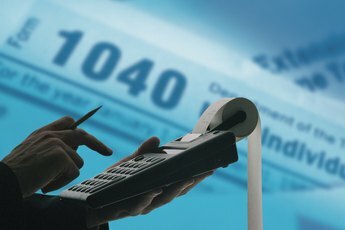 To do this, you have to itemize rather than claim the standard tax deduction. You claim employee expenses as one of the miscellaneous deductions reported on Schedule A. 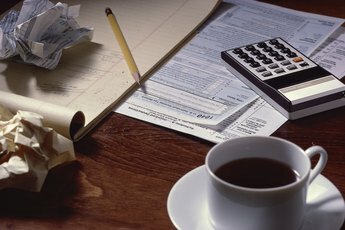 Total up employee expense and other deductions in this class -- safety deposit box rentals and tax advice among them -- and subtract 2 percent of your adjusted gross income. Whatever's left is your deduction. 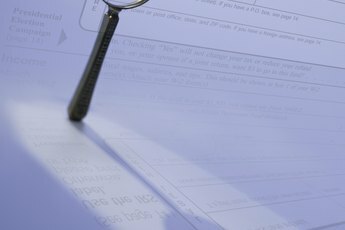 The IRS doesn't audit many returns, but if you're one of the unlucky taxpayers, you'd better be able to prove your deductions. If you claim a write-off based on business driving, you need to show the IRS that you drove all those miles. This shouldn't be as hard as it sounds: If you're reporting travel to your boss, giving the same information to the IRS should satisfy the agency. Are Travel Expenses for Educational Conferences Tax-Deductible? Can I Deduct Mileage to Doctors & Pharmacies for Tax Deductions?